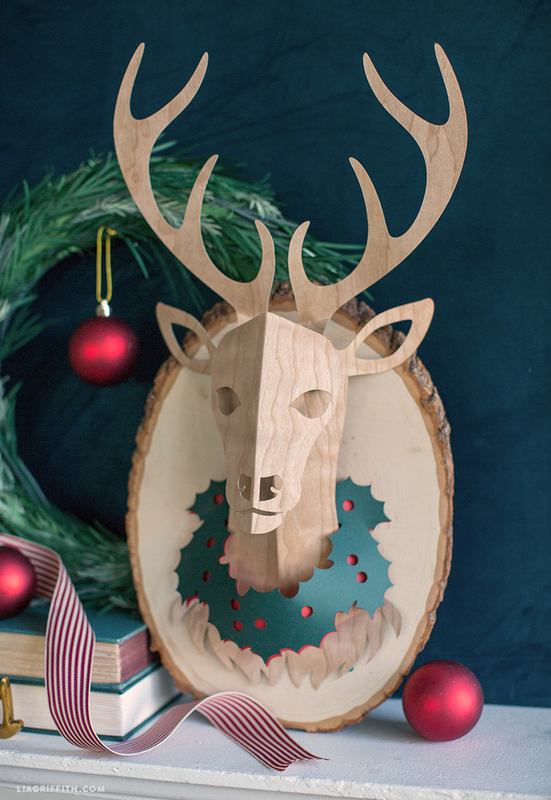 This DIY paper deer head is a beautiful handcrafted work of art. 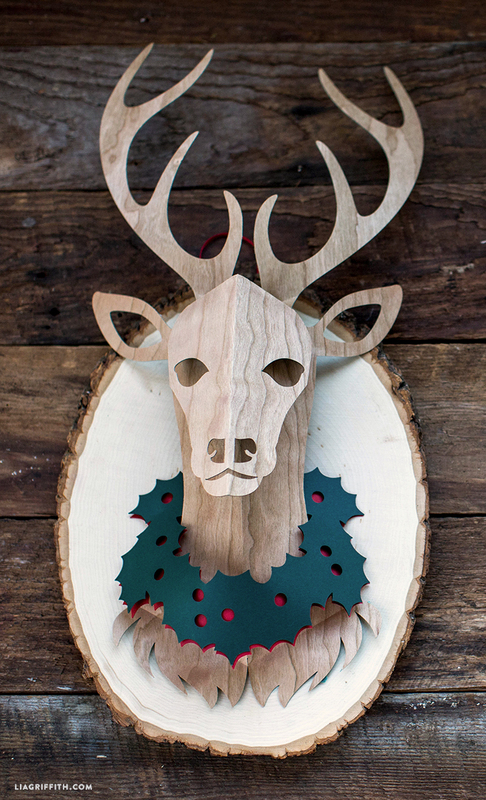 Reminiscent of taxidermy trophies, this papercut version evokes a similar rustic vibe. 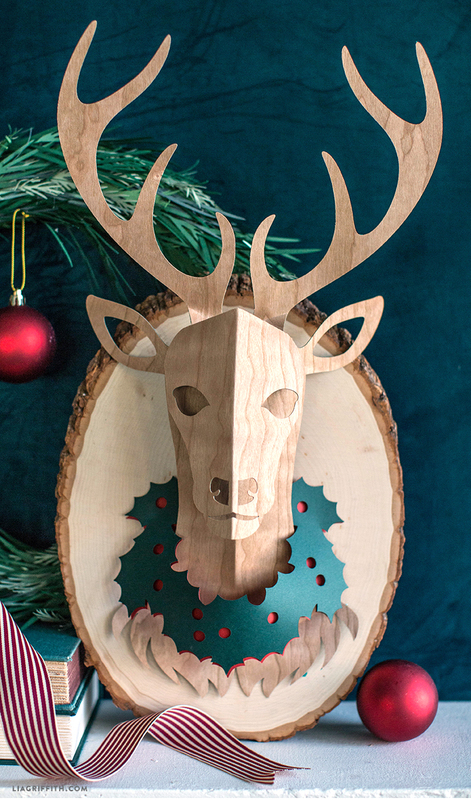 Go for a stroll in the forest and find a wood slice that appeals to you, then create your paper deer head to mount on its face. 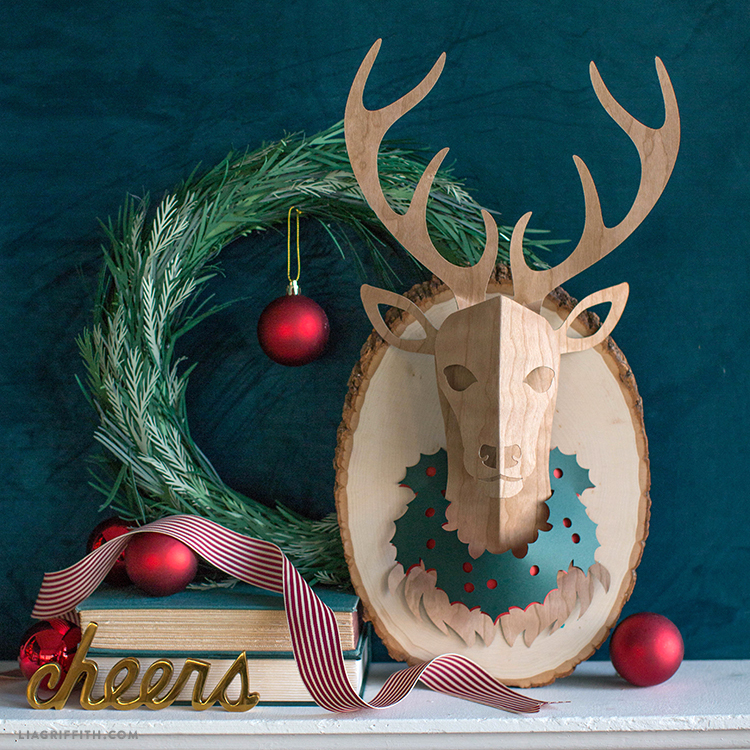 This project makes for a unique holiday gift or decoration for a home den/living space. Trim your felt to fit the back of your wood slice. 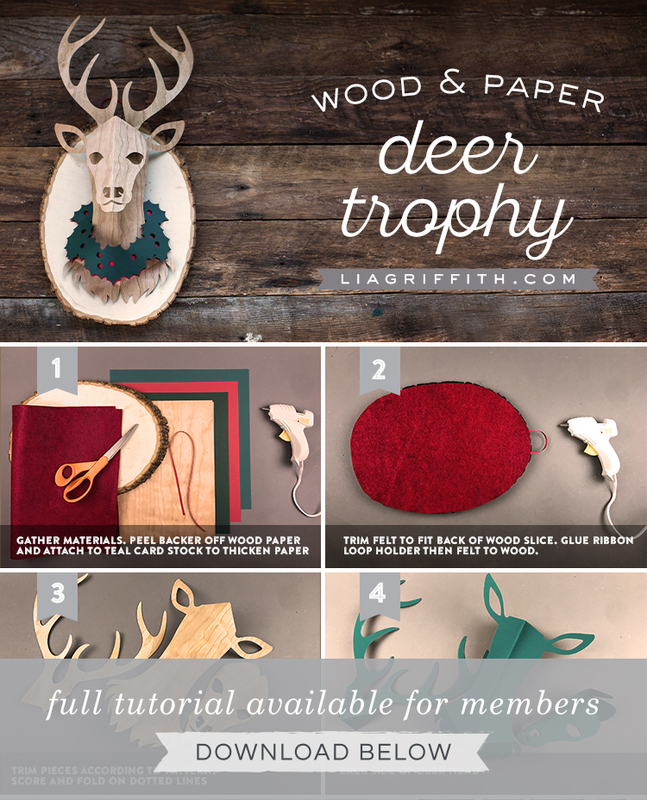 Glue a ribbon loop holder to the back of the wood, then glue the felt to the wood. Trim your pieces according to the pattern. Score and fold along the dotted lines. Flip over to the backside. What size wood slice would work best?